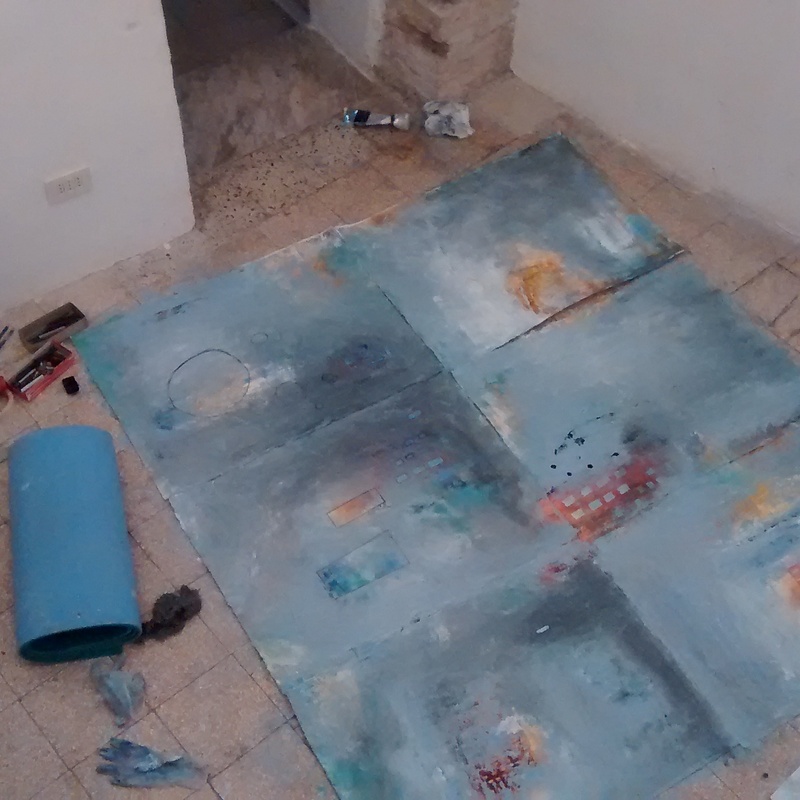 Paintings in process during the artist residency. The studio is a small room adjacent to the working theater in a 16th century renovated church. You can see I’ve been working on the floor, kneeling on the blue thermamatt to work. These 6 paintings, Still in process here in the photo, are inspired by the day I spent in Rome before making my way up north. I took pictures & sketches both here & in Rome of marks, patterns & structures of the buildings and am slowly incorporating these into the many layers of these works. The layers of paint added and then taken away represent the old structures, cities & history that over time have been destroyed and rebuild again and again.